Enjoy our lowest intro APR for 18 months on purchases and balance transfers. Balance transfers made within 120 days qualify for the intro rates and fees. To qualify for the $200 cash rewards bonus, a total of at least $1,000 in net purchases (purchases minus returns/credits) must post to your account within 3 months from the date your account is opened. These bonus cash rewards will show as redeemable within 1-2 billing periods after they are earned. Cash advances and balance transfers do not apply for purposes of this offer and may impact the credit line available for this offer. ATM transactions, cash advances of any kind, balance transfers, SUPERCHECKS™, cash equivalents such as money orders and prepaid gift cards, casino gaming chips, wire transfers, off-track wagers, lottery tickets, or bets or wagers transmitted over the internet, fees or interest posted to a linked account, including but not limited to returned payment fees, late fees, and monthly or annual fees, do not earn cash rewards. 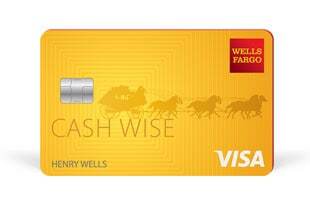 Refer to the Summary of the Go Far® Rewards Program Terms and Conditions and Addendum for the Wells Fargo Cash Wise Visa® Card. 1.5% cash rewards are earned for every $1 spent in net purchases (purchases minus returns/credits) on the credit card account. ATM transactions, cash advances of any kind, balance transfers, SUPERCHECKS™, cash equivalents such as money orders and prepaid gift cards, casino gaming chips, wire transfers, off-track wagers, lottery tickets, or bets or wagers transmitted over the internet, fees or interest posted to a linked account, including but not limited to returned payment fees, late fees, and monthly or annual fees, do not earn cash rewards. 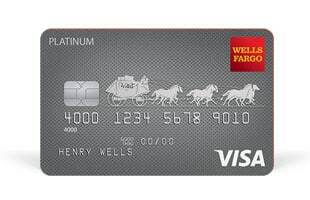 Refer to the Summary of the Go Far® Rewards Program Terms and Conditions and Addendum for the Wells Fargo Cash Wise Visa® Card for further details.